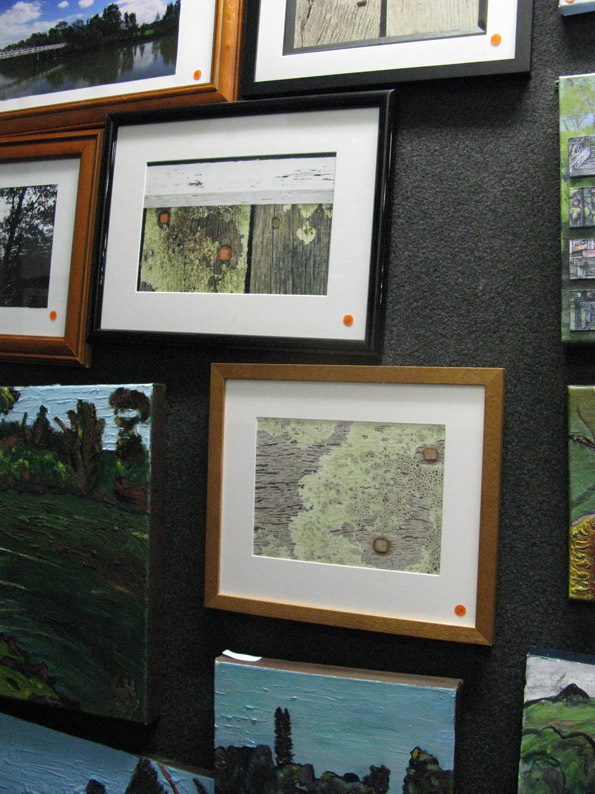 A good night was had by all last Friday night at The Marrickville Golf Club, March 28, for the exhibition and awards of the Old Cooks River Bridge Art Prize. The art prize was open to local school kids, artists & photographers to create a work to celebrate the life of the old timber bridge that runs across the Cooks River between Marrickville and Earlwood. 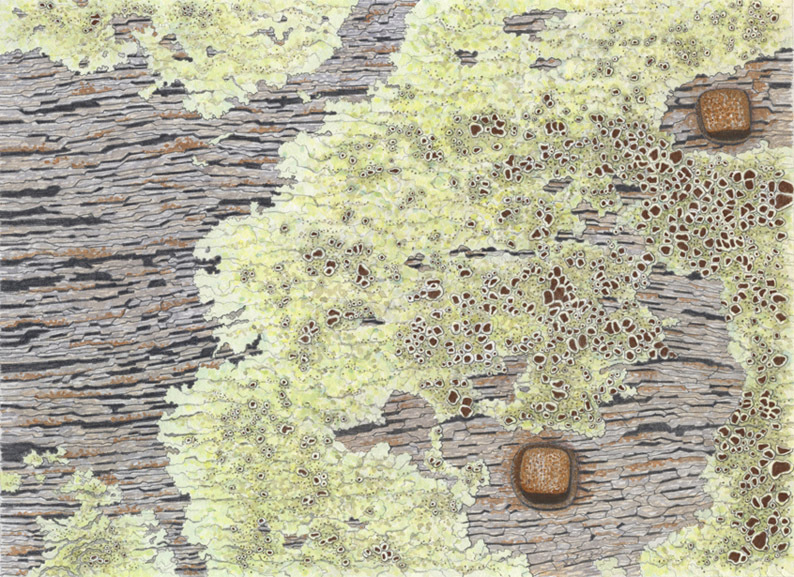 For my entry I decided to do a close-up detail view of lichen growing on the old wooden bridge planks rendered in watercolour, graphite and colour pencil. As you can see in the photograph below of some of the works on display, the photographer who entered the photo above my artwork took a shot in almost exactly the same place I used for my reference! Here is my entry which didn’t win any prizes on the night but has been sold so really pleased with that. Congratulations to The Marrickvile Golf Club and organiser Juliet Barr for a great community event.